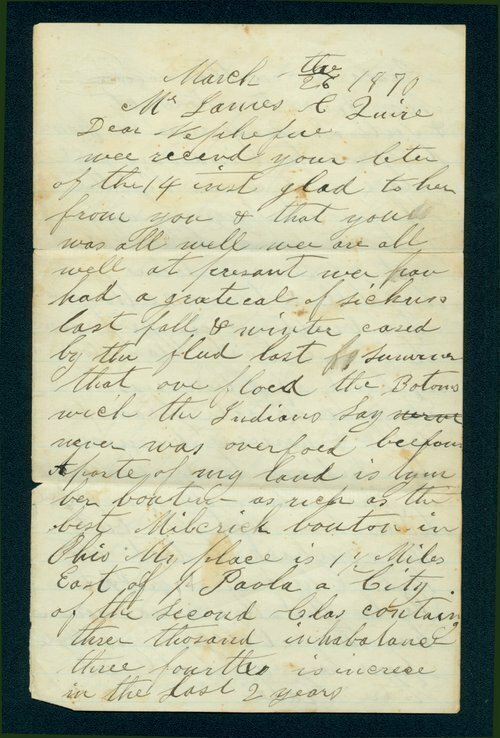 A letter written by Joseph Harris to James C. Quire. Harris a farmer in Paola Township, Miami County, Kansas writes to his nephew James C. Quire, who possibly lived in Ohio. The letter describes the development of Paola, Kansas and provides information on land, transportation, and business opportunities. In the letter, Harris mentions the Indian trade and a Miami village located 10 miles from Paola.